Today’s guest is fantasy author Alison Croggon! Her novels The Gift (titled The Naming in the US) and Black Spring were each selected as a Children’s Book Council of Australia Notable Book of the Year. The Gift, also an Aurealis nominee in two categories, is the first novel in The Books of Pellinor series. 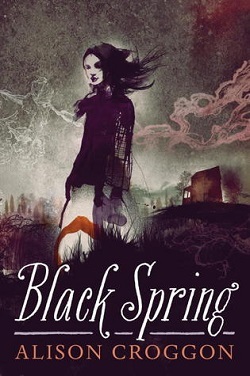 Black Spring, a fantasy inspired by Emily Brontë’s Wuthering Heights, is an Ethel Turner Prize finalist and her most recent novel (although that will change later this year with the release of The River and The Book). In addition to being a writer of renowned speculative fiction novels, she’s a poet, critic, and theatre writer. Another day, another erasure of women in the world of books. This time, Guardian writer John Mullan writes a paean to the triumph of fantasy fiction. The staggering success of the HBO series Games of Thrones, the blessing of literary respectability conferred by Kazuo Ishiguro’s The Buried Giant, and the rush of love that flowed in the wake of Terry Pratchett’s death, all demonstrate to Mullan that fantasy is taking its place in the “mainstream”. In the modern tension between literary respectability and the louche pleasures of popular genres, it’s perhaps a positive thing that fantasy can be so celebrated. But at what cost? Fantasy is a myriad-headed beast, with many manifestations. Yet, despite the length of his essay, it turns out that Mullan is very limited in his definitions: a fantasy novel, what he calls AU (Alternative Universe), is mostly a Big Fat Fantasy Book. With maps. All fantasy readers, of course, adore these kinds of books, but volumes the size of bricks and maps with exotic names are hardly the hard-and-fast definition of fantasy. Even in Mullan’s white, male-centric world there is no mention of, say, the New Weird, the hallucinogenic post-apocalyptic (and profoundly literary) Britain of M. John Harrison’s Viriconium stories or China Mieville’s Marxist fantasies, or the queered worlds of Hal Duncan. And if you take his map of the genre at face value, it seems that, except as footnoted oddities, women don’t write fantasy at all. Mullan’s article sparked a flurry of disbelief on twitter and a hashtag – #womenwritefantasy – listing dozens of authors who happen to be both women and who write fantasy. Fantasy is, in fact, rich in women. 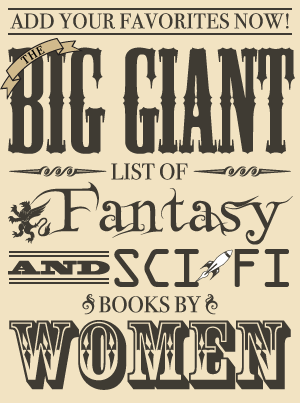 In the Antipodes, it’s a genre that is in fact dominated by women – as Trudi Canavan shows, two thirds of Australian and New Zealand fantasy authors are female. The real question is, how is it possible, in 2015, for anyone to claim that fantasy is a genre populated almost entirely by straight, white men? Sadly, it’s a pattern that’s all too familiar. Throughout history, women have been at the centre of cultural movements, only to have their influence and works erased by the historians and critics who only assign significance to men. The Surrealists, for example, boasted a wealth of women artists – Dorothea Tanning, Elisa Breton, Greta Knutson – who were comprehensively written out of the canon in favour of the male artists, and who only recently are being restored to their rightful places in art history. And there’s the rub. The liberating thing about fantasy – indeed, all speculative fiction – is that it permits us to imagine realities that, however much they reflect our own, are structured differently from the worlds we know. In their languages, in their genders, in their organic forms and geographies, in their politics and their conflicts, they can be anything that their authors imagine. This is certainly one reason why women – and people of colour, such as Octavia Butler, Saladin Ahmed, Samuel R. Delaney, Nnedi Okorafor and countless others – are so attracted to the form: here we can imagine utopias and dystopias, and explore possibilities and realities that we glimpse in our quotidian world, freed into a play of imaginings. It’s not just bad history to erase women, LGBTQ people, people of colour, from the genealogies of speculative fiction. It also effectively reduces the genre, turning a kaleidoscopic wealth of possibility into a bland whitewash. Maybe, just maybe, if that’s the price of “mainstream” recognition, it might be better to remain in the margins, where the same old boring prejudices might be easier to escape. Alison Croggon is a poet, novelist, theatre writer and critic who lives in Melbourne, Australia. She is the author of the acclaimed young adult fantasy series, The Books of Pellinor. The first volume, The Gift, was nominated in two categories in the Aurealis Awards for Excellence in Australian Speculative Fiction in December 2002 and named one of the Notable Books of 2003 by the Children’s Book Council of Australia. 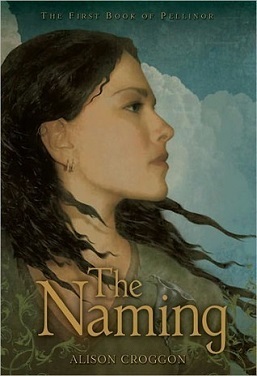 The US edition, The Naming, was judged a Top Ten Teen Read of 2005 by the editors of Amazon.com. The series has since been released to critical and popular acclaim in the US, the UK, Germany, Spain, Portugal and Poland, and to date has sold more than a half a million copies in the UK and US alone. Her most recently published fantasy novel is Black Spring, released in 2012/14 in Australia, the UK, the US and Germany. It was a Children’s Book Council of Australia Notable Book of 2013 and shortlisted for the Ethel Turner Prize for Young People’s Literature in the 2014 NSW Premiers Literary Awards. A new novel, The River and The Book, is forthcoming with Walker Books in October 2015, and 2016 will see the international release of a new Books of Pellinor prequel, The Bone Queen.